As if letting the anti-gay reglious sect known as the Duggar Klan continue their show wasn’t bad enough. 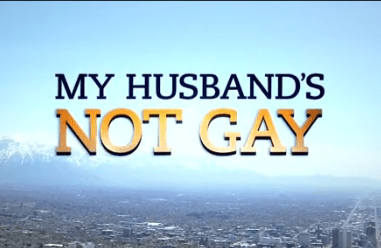 Now TLC (otherwise known as The Lactating Channel) will be airing a“Special” in January about fours self-loathing Mormon closet cases called “My Husband’s Not Gay” who don’t identify themselves as homosexual despite having strong attractions to men. The show focuses on three married couples: Jeff and Tanya, Pret and Megan, and Curtis and Tera. Joining the cast is 35-year-old Tom, the bachelor of the group who enjoys fishing and baseball and served as a missionary in Long Beach. All cast members are devout Mormons belonging to The Church of Jesus Christ of Latter-day Saints. The special will follow the cast as they navigate life while explaining to outsiders their unique marriages. “I get a little defensive when somebody calls my husband gay,” one wife says. TLC is owned by The Discovery Channel. Was Impeccable Matt Bomer Denied Superman Role Because He’s Gay? UK LGBT Student Activist Group Says Gay Men Not Oppressed Enough to Deserve Representation. A better title for this show is “I am a homo but my church has shamed me into not admitting it”. Or “The Mormon church has fucked me up so much that I am ashamed to admit I am a homo”. There’s an organization called North Star that perpetuates this sort of thing. I recognize one of the guys from the website. I feel sorry for the women. I’m so glad I got out before this became a thing.